It’s that time again as we’ve been putting aside photo/imaging news items that we think you may have missed over the last few weeks and as a service to our busy readers, we’ll lay them out below, in rapid-fire succession, to keep you up to date on some of the under the radar things that are happening out there in the photography world of late. It is a question that just about anyone who has ever taken a picture at some point asks – why can’t the camera capture the exact picture my eyes see, at the same resolution? 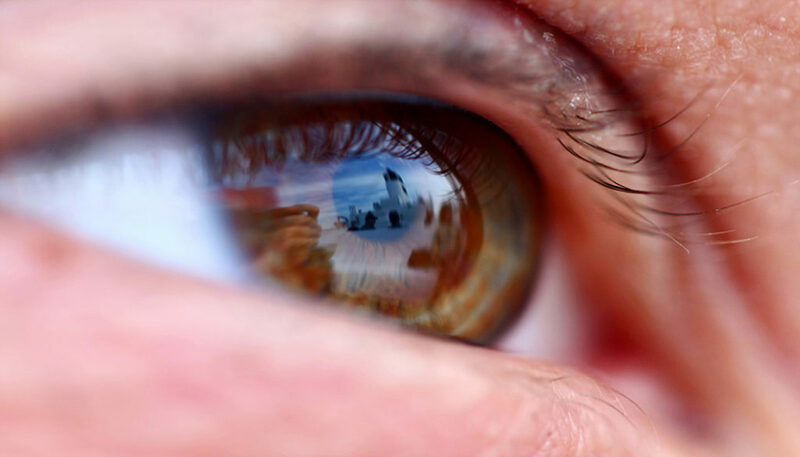 Which ultimately begs another question – what exactly is the resolution of the human eye? The best estimate we could come up with based on various online sources was this: The eye is not a single frame snapshot camera. It is more like a video stream. The eye moves rapidly in small angular amounts and continually updates the image in one’s brain to “paint” the detail. We also have two eyes, and our brains combine the signals to increase the resolution further. We also typically move our eyes around the scene to gather more information. Because of these factors, the eye plus brain assembles a higher resolution image than possible with the number of photoreceptors in the retina. The megapixel equivalent numbers below refer to the spatial detail in an image that would be required to show what the human eye could see when you view a scene. In thinking about the resolution of the human eye, consider a view in front of you that is 90 degrees by 90 degrees, like looking through an open window at a scene. The number of pixels would be 90 degrees * 60 arc-minutes/degree * 1/0.3 * 90 * 60 * 1/0.3 = 324,000,000 pixels (324 megapixels). For a really cool, and even more detailed understanding of the resolution of the human eye, check out this YouTube video from the always entertaining Vsauce channel. 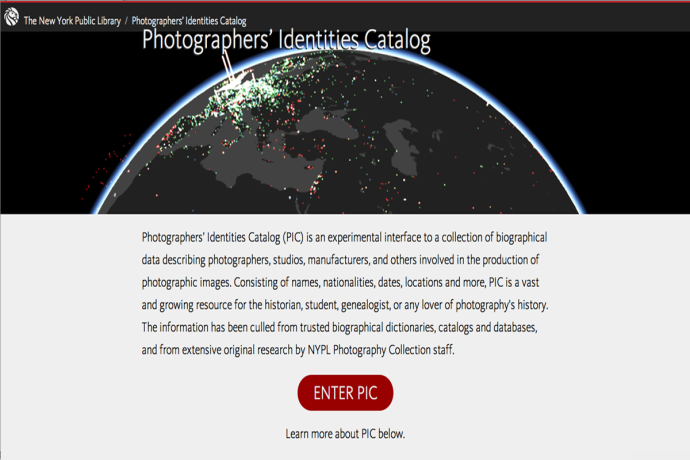 While online resources abound for those of us who love the craft of photography, the New York Public Library has launched a new online resource called the Photographers’ Identities Catalog (PIC). If you simply thrive on researching the amazing world of photography this is the site for you. The site’s creators have amassed biographical info of over 100,000 photographers and other businesses in the industry. The folks at the NY Public Library are claiming this project covers the entire world and the entire history of the medium. PIC is actually just one of several excellent online resources that offer an easy access to vast amounts of photographic information as there’s Yale’s Photogrammar as well as the NYPL’s earlier initiative – the Public Domain Visualization tool. Bravo to Nikon fore their recent ad campaign titled “Show Your Love Some Love” that takes a major swing at how the joy of photo sharing has been relegated to a hunger for meaningless “Likes” in today’s social media culture. 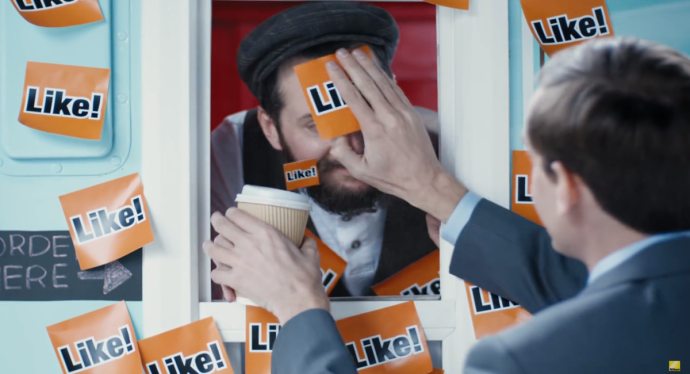 The ad very cleverly argues that the relentless push for these “Likes” with smartphone photos is nothing when compared to capturing the world around us – particularly with a Nikon DSLR. Good stuff and a very meaningful message…all while pushing a great product. Love it. Nothing ruins a good photo or video faster than a gloomy look on someone’s face, right? Enter the Smile Camera. 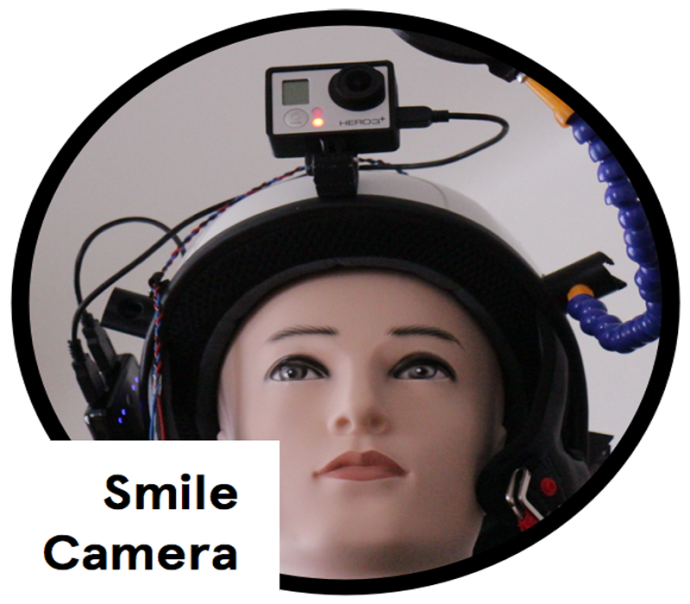 Crated by Andrew Maxell-Parish, the Smile Camera is nothing more than a helmet camera that is triggered by your smiles using sensors attached to your face. A mirror also extends into the frame to show the user’s expressions in the captured video. The general idea here is to document life’s experiences – with only the happy ones actually being captured. You can follow Andrew’s “smiles” at his website and on YouTube. It will be interesting to see exactly where this heads.